Manali, the Queen Valley of Himachal Pradesh, is situated in the western of the Himalayas at the height of 2050 mtr. (Approx. 6398 ft.). Manu, who is said to the creator of the human mankind, first settle in Manali. Thus, the area is considered as a sacred place for pilgrims. Manali, also known as paradise, is covered with green mountains and waterfalls. 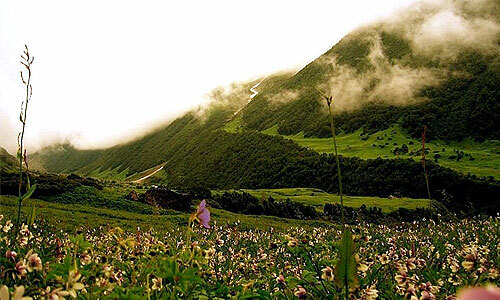 Green grasslands and valleys are best views in Manali. Because of its green scenery, it is one of the best Tourist places in India. The best views can be viewed through adventurous activities like Trekking, Skiing, Paragliding, Mountaineering etc. In winter’s Manali is the most beautiful place to visit. The peaks covered with snow make it the most attractive place for the Tourists. The activities in Manali are endless. Anyone can go around in Manali, without any guidance, until unless it is related with adventure. The Tourism in Manali is best for Honeymoon, Vacations and Adventurous Activities. 51 Kms far from Manali with an altitude of approx. 4000 is the highest peak on Keylong Highway. This place is full of beauty of cliffs, ravines, moraines and glaciers. This pass is open only from June to October as at other time period it is closed because of snow. This is one of the gateways for Lahaul- spiti, Pangi and Leh valley. The lake here is a boating point for the tourists, within the Km’s distance is the SNOW POINT. A Tourist who has never seen a snow before, Snow Point is a perfect place. Shops on the roads give the opportunity to shop the colorful woolens. Solang Valley between Manali and Kothi is a perfect view for Glaciers and Snow covered Mountains. February is the best month to go for Solan Valley. This valley is suitable for adventurous activities like Rock Climbing, Skiing etc. 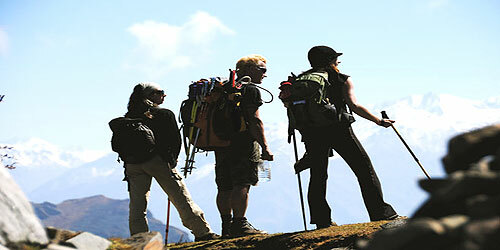 The training institute trains the tourist by basic instructions for adventurous trips. A Buddhist temple, which contains many idols of Buddha, is famous for Tibetan handicrafts and carpet weaving. The Tibetan monasteries are located in a town and at Aleo, on the left bank of River Beas. Hadimba, also known as Hidimba (Hirma, Doongri), was built in 1553 A.D. This temple is said to be constructed by Raja Bahadur Singh and was dedicated to Bhima’s wife Hidimba. This temple is made of 4 tiered pagoda shaped roof with figures and shapes craved on the doorways. This four story temple is located in the middle of a forest called Dhungri Van Vihar. It is a pleasant experience to admire the beauty of the temple. In May, a festival is held in this temple. A village surrounded by forest on the hill is a lovely place to visit. It is an hour’s drive away from the main city of Manali. In 16th century, Naggar was the capital of Kullu, which is famous for castle. Castle, now a Himachal Pradesh Tourism Hotel, is famous for its Glory. On the hill is a famous Krishna Mandir, with old style architecture. A small village 12 Km. away from Manali on the road to Rohtang Pass, is a beautiful place. River Beas flow through the deep and narrow gorge which is 30 mtrs. in depth and other fine views of mountains and valleys make this place famous. The second famous thing for this place is the picturization for movies. This place also provides a peaceful ambience for poets and writers. This village is famous for stone temples of Vashisht Rishi and Lord Ram. This village is 3 Km. away from Manali. This place is famous for Natural Hot Water Spring, which is said to carry medicinal properties. Tourist takes bath in this hot water, which has a separate bath place for ladies and gents. The other site places for visit in and around Manali are Rohla Falls, Kullu, Marhi, Club House, Nehru Kund, Jagatsukh, Arjun Gufa, Malana Valley, Manali Sanctuary, Temple of Manu, Rahala Water falls etc. Many school of India are organizing the educational tours to Manali and they are selected Manali for its activities like Moutaining, Snow, River based activities. This hill station of India provided snow covered mountain as well as green mountains. The school group enjoy the adventurous part at Solang valley and Rohtang Pass . The activities like paragliding, skiing, mountain tracking, river rafting and number of activities to select. As per the accommodation is concern Manali is the cheapest hill station in India and school will get the good rates as Manali Hotels can give a value of money without compromise of the services at Manali.